Snap may have declared itself a camera company; Zuckerberg dismissed it as “Act One”, making it clear that Facebook intended to not simply adopt one of Snapchat’s headline features but its entire vision. Shortly after Snap’s S-1 came out, I wrote in Snap’s Apple Strategy that the company was like Apple; unfortunately, the Apple I was referring to was not the iPhone-making juggernaut we are familiar with today, but rather the Macintosh-creating weakling that was smushed by Microsoft, which is where Facebook comes in. Today, if Snap is Apple, then Facebook is Microsoft. Just as Microsoft succeeded not because of product superiority but by leveraging the opportunity presented by the IBM PC, riding Big Blue’s coattails to ecosystem dominance, Facebook has succeeded not just on product features but by digitizing offline relationships, leveraging the desire of people everywhere to connect with friends and family. And, much like Microsoft vis-à-vis Apple, Facebook has had The Audacity of Copying Well. I wrote The Audacity of Copying Well when Instagram launched Instagram stories; what was brilliant about the product is that Facebook didn’t try to re-invent the wheel. Instagram Stories — and now Facebook Stories and WhatsApp Stories and Messenger Day — are straight rip-offs of Snapchat Stories, which is not only not a problem, it’s actually the exact optimal strategy: Instagram’s point of differentiation was not features, but rather its network. By making Instagram Stories identical to Snapchat Stories, Facebook reduced the competition to who had the stronger network, and it worked. 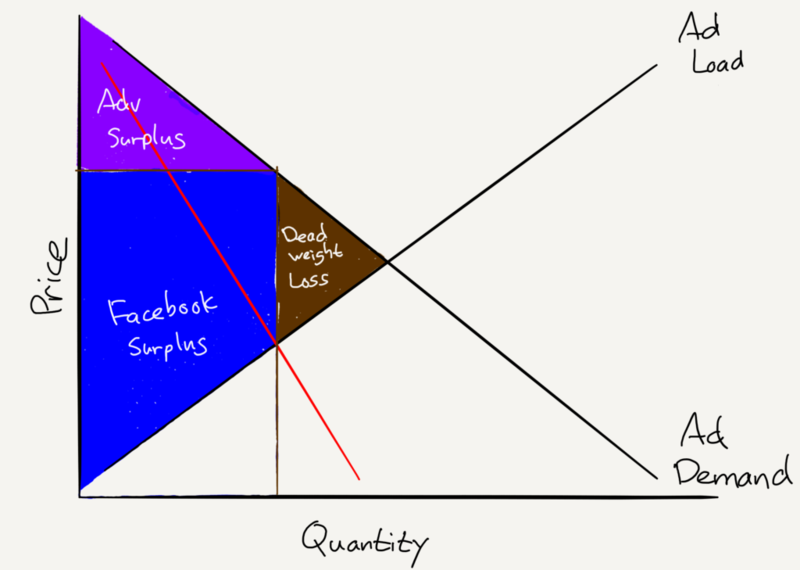 So sure, Facebook may have a monopoly in social networking, and while that may be a problem for Snap or any other would be networks, Facebook would surely argue that the lack of deadweight loss means that society as a whole shouldn’t be too bothered. The problem is that Facebook isn’t simply a social network: the service is a three-sided market — users, content providers, and advertisers — and while the basis of Facebook’s dominance is in the network effects that come from connecting all of those users, said dominance has seeped to those other sides. Content providers are an obvious example: Facebook passed Google as the top traffic driver back in 2015, and as of last fall drove over 40% of traffic for the average news site, even after an algorithm change that reduced publisher reach. So is that a monopoly when it comes to the content provider market? I would argue yes, thanks to the monopoly framework above. Note that once again we are in a situation where there is not a clear price: no content provider pays Facebook to post a link (although they can obviously make said link into an advertisement). However, Facebook does, at least indirectly, make money from that content: the more users find said content engaging, the more time they will spend on Facebook, which means the more ads they will see. 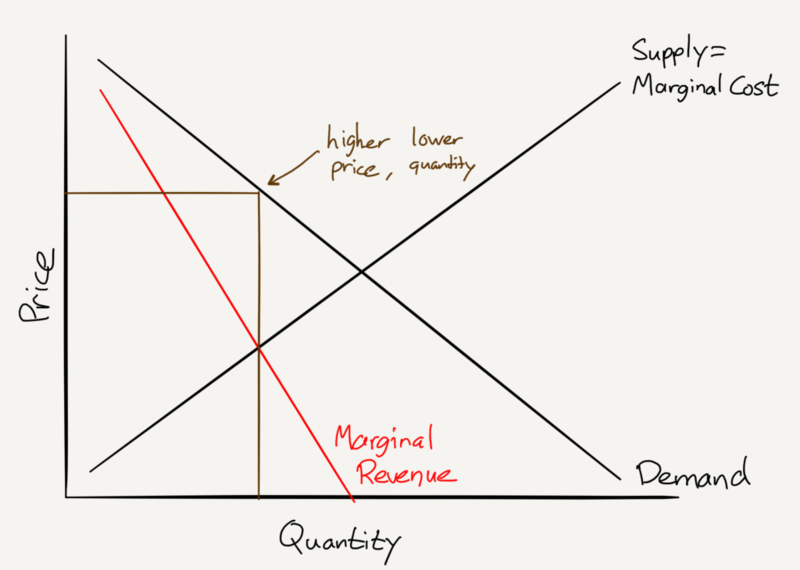 In this case, it’s not that Facebook is setting a higher price to maximize their profits; rather, they are sharing less of their revenue; the outcome, though, is the same — maximized profits. Keep in mind this approach isn’t possible in competitive markets: were there truly competitors for Facebook when it came to placing content, Facebook would have to share more revenue to ensure said content was on its platform. 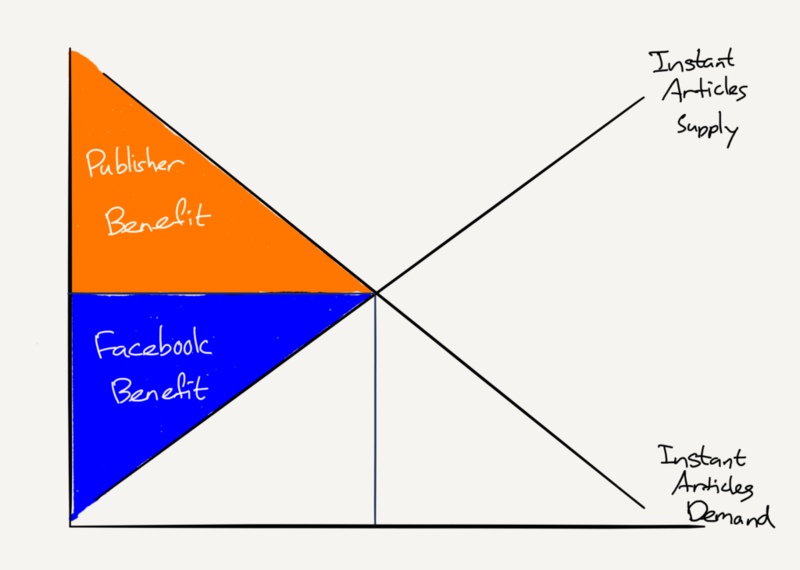 In truth, though, Facebook is so dominant when it comes to attention that it doesn’t have to do anything for publishers at all (and, if said publishers leave Instant Articles, well, they will still place links, and the users aren’t going anywhere regardless). 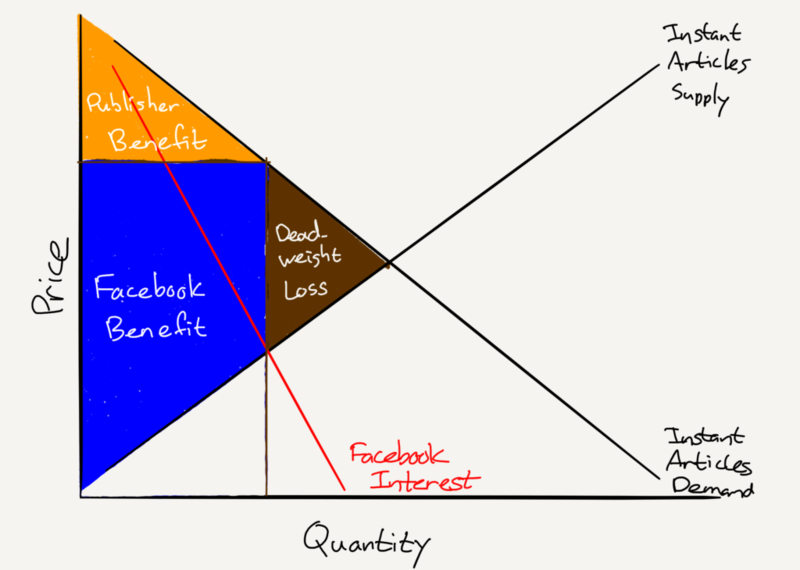 Facebook, though, will soon be limiting quantity, or at least limiting its growth. On last November’s earnings call CFO Dave Wehner said that Facebook would stop increasing ad load in the summer of 2017 (i.e. Facebook has been increasing the number of ads relative to content in the News Feed for a long time, but would stop doing so). What was unclear — and as I noted at the time, Wehner was quite evasive in answering this — was whether or not that would cause the price per ad to rise. Note that Facebook has already said that revenue growth will slow because of this change; that, though, is not inconsistent with having monopoly power. Monopolists seek to maximize profit, not revenue. Alternately, it could simply be that Facebook is worried about the user experience; it will be fascinating to see how the company’s bottom line shifts with these changes. 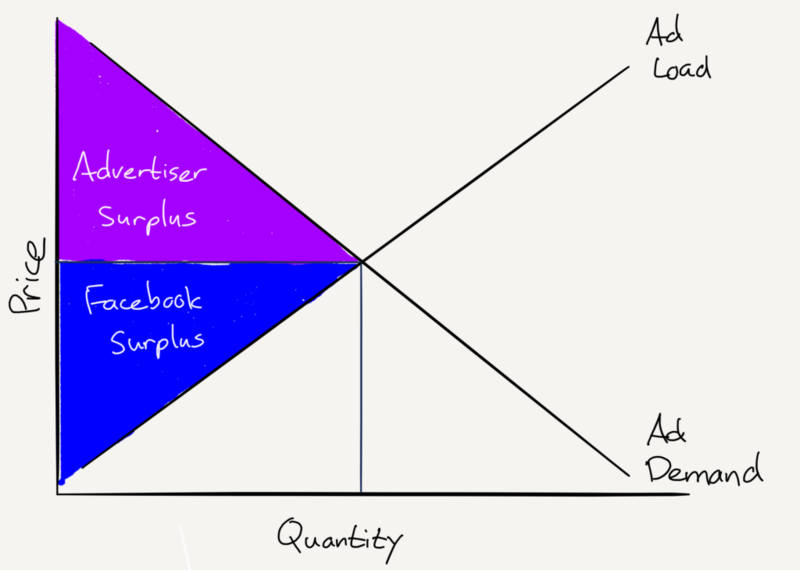 Still, even if Facebook does have monopoly power when it comes to content discovery and distribution and in digital advertising, is that really a problem for users? Might it even be a good thing? Facebook board member Peter Thiel certainly thinks so. In Zero to One Thiel not only makes the obvious point that businesses that are monopolies are ideal, but says that models like the ones I used above aren’t useful because they presume a static world. 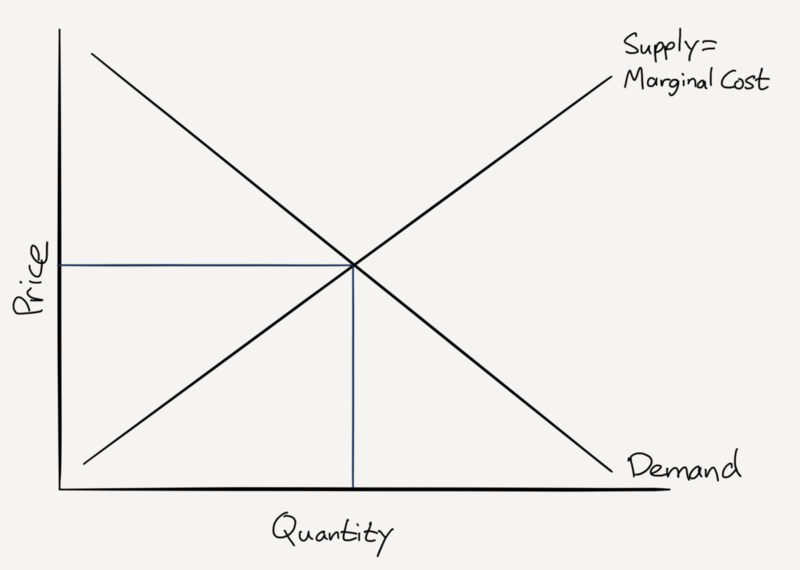 In a static world, a monopolist is just a rent collector. 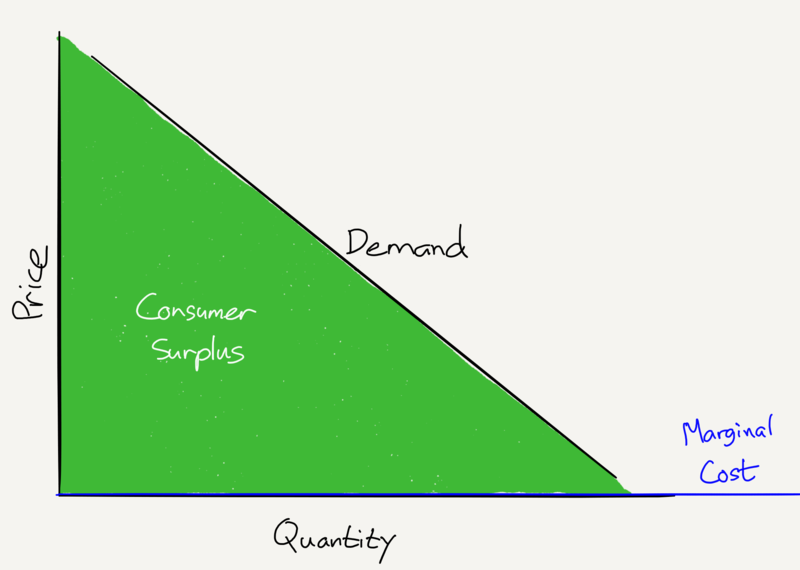 If you corner the market for something, you can jack up the price; others will have no choice but to buy from you…But the world we live in is dynamic: it’s possible to invent new and better things. 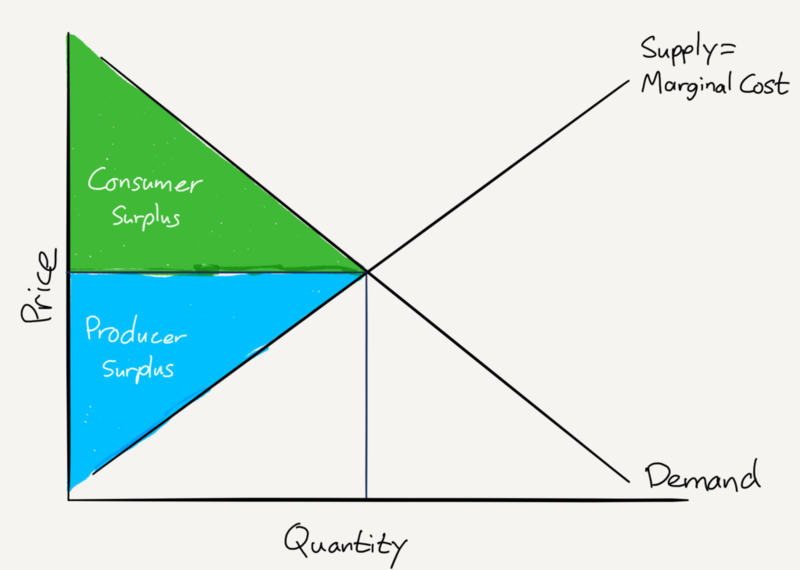 Creative monopolists give customers more choices by adding entirely new categories of abundance to the world. Creative monopolies aren’t just good for the rest of society; they’re powerful engines for making it better. 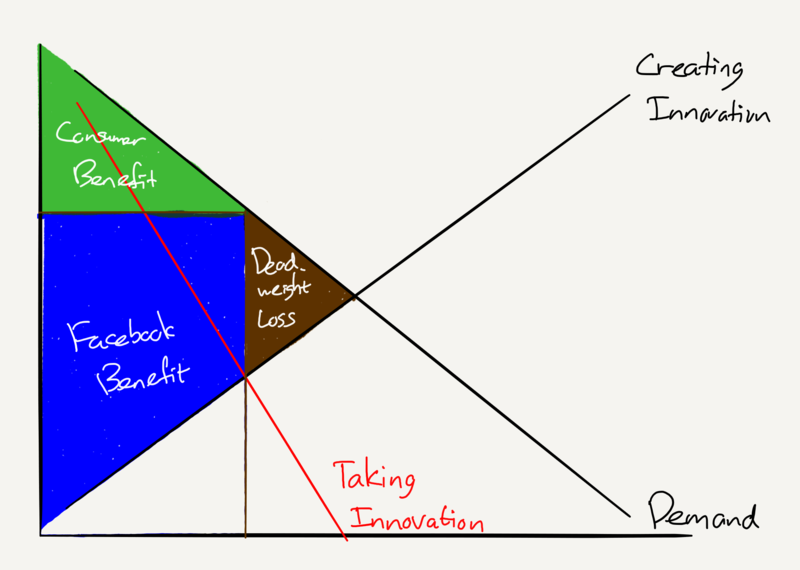 The dynamism of new monopolies itself explains why old monopolies don’t strangle innovation. With Apple’s iOS at the forefront, the rise of mobile computing has dramatically reduced Microsoft’s decades-long operating system dominance. Before that, IBM’s hardware monopoly of the ’60s and ’70s was overtaken by Microsoft’s software monopoly. AT&T had a monopoly on telephone service for most of the 20th century, but now anyone can get a cheap cell phone plan from any number of providers. If the tendency of monopoly businesses were to hold back progress, they would be dangerous and we’d be right to oppose them. But the history of progress is a history of better monopoly businesses replacing incumbents. Monopolies drive progress because the promise of years or even decades of monopoly profits provides a powerful incentive to innovate. Then monopolies can keep innovating because profits enable them to make the long-term plans and to finance the ambitious research projects that firms locked in competition can’t dream of. Indeed, it’s hard to think of any examples where established monopolies produced technology that wouldn’t have been produced by the free market; Thiel wrongly conflates the drive of new companies to create new monopolies with the right of old monopolies to do as they please.